I would like to add one other dimension of American life in which I see Jefferson’s worldview alive and well. Over the course of my twenty-two years on the faculty at the University of Washington, I came to think of Jefferson as the patron saint of American higher education. If the modern secular university is not a product of Jefferson’s influence in a strictly causal sense, several aspects of his worldview are integral to its function and identity. Some have undoubtedly been positive in their effect, but two, at least, have been crippling: Today’s secular university (1) exalts reason but lacks a logical foundation for its dogmatic morals, and (2) exalts democracy but is averse to genuine pluralism. Both are classically Jeffersonian features. First, when it comes to their moral arguments, both Jefferson and the twenty-first-century Academy embrace irrationality as the price of rationalism. Rationalism is a philosophy of knowledge that regards human reason as the only path to truth. It posits that the only way to make sense of the world is to put autonomous humans at the figurative center of the universe and rely on human reason to explain whatever it can. To rationalism the contemporary secular university adds materialism, the unproven (and unprovable) assumption that outside of the physical world there is only nothingness. Everything is immanent, according to today’s secular Academy. Nothing is transcendent. The upshot is that “there is nothing outside the world that may explain anything within it,” to quote atheist intellectual Matthew Stewart. From these dogma it follows that all moral values are human creations, or “social constructions” in academic jargon. Societies adopt them over time because they are useful or, more likely, because elites who “exercise hegemony” (wield power over the common folks) find them useful. By “deconstructing” these so-called values, academics claim to reveal the more fundamental power realities or social forces that underlie moral truth claims and explain what’s really going on. And yet, at the same time today’s secular universities are awash in moral claims. Faculty and students speak glibly of “social justice” and “human rights.” They bemoan and condemn a plethora of social ills, from homelessness to human trafficking. This is surely one of the secular university’s most striking features: On the one hand, it rests on a theoretical foundation that denies the very possibility of objective moral truth. On the other, it promotes an academic culture characterized by pervasive, passionate moralizing. Jefferson’s approach to moral values differed in the details but was similar at the bottom line. Jefferson’s starting point was what historian Gregg Frazer labels theistic rationalism. Frazer means that Jefferson was willing to concede the existence of God on logical grounds, but reason was always in the driver’s seat when it came to determining his religious beliefs. He rejected as irrational almost all of the fundamental tenets of orthodox Christianity (as outlined in the Apostles’ Creed, for example), was skeptical of the concept of special revelation, and insisted repeatedly that reason was the only reliable guide to virtue. At the same time, it is clear that Jefferson took for granted that the liberation of the moral sense would free men and women to behave more and more according to his values. As Ellis describes him, Jefferson was convinced that anyone who was both intelligent and informed would look at the world exactly as he did. Although he would begrudgingly acknowledge the occasional exception (John and Abigail Adams come to mind), Jefferson instinctively believed that anyone who disagreed with him was either misinformed or malevelent. Which brings me to my second point. 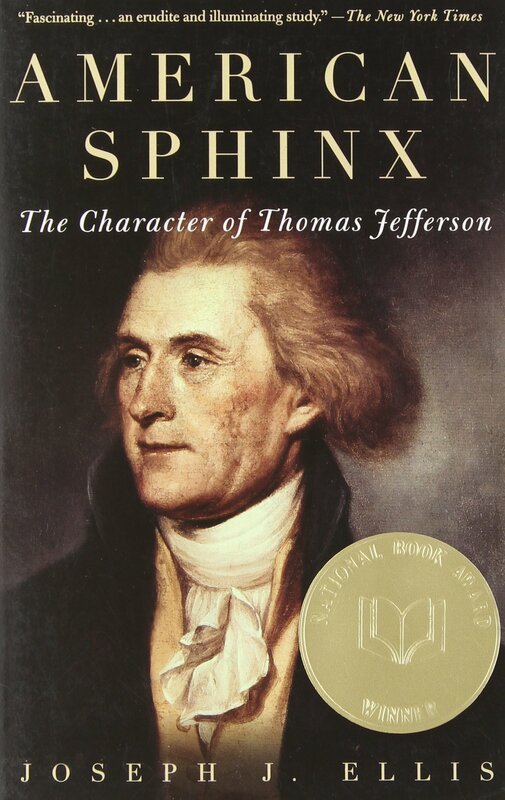 As Ellis concludes, even a cursory examination of Jefferson’s views of his political opponents reveals “how alien Jefferson was to the pluralistic ethos so central to modern-day political liberalism, which accords respect to fundamentally different values and defines integrity as a civil, if spirited dialogue among opposing ideas.” A perfect example would be Jefferson’s approach to the creation of the University of Virginia. In his final years, Jefferson devoted the lion’s share of his time and energy to the project. The proposed institution—seated barely four miles from Monticello—was to be his living legacy, the institutional embodiment of his philosophical and educational ideals. In February 1825 Jefferson wrote to his old political ally, James Madison, who was also on the original governing board of the institution. Jefferson noted that he had long believed that the new faculty hires should be left free to choose their own textbooks and approach their subjects of expertise as they thought best. “But there is one branch in which I think we are the best judges,” Jefferson told Madison offhandedly, a field of such importance “as to make it a duty in us to lay down the principles which are to be taught. 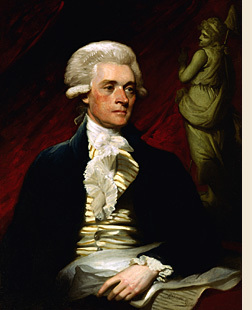 It is that of government.” Noting that the government professorship could conceivably go to a “rank Federalist,” Jefferson now considered it “a duty to guard against danger by a previous prescription of the texts to be adopted.” In sum, academic freedom was all well and good—as long as it reinforced Jefferson’s political convictions. To his credit, Madison convinced his friend to drop the idea. If a “rank Federalist” might someday teach government at Jefferson’s university, he made sure that an orthodox Christian would never be appointed as Professor of Divinity. His stratagem for insuring this was simple: there would be no professorship of Divinity. At a time when almost every college in America was overtly church-related and had a minister as its president, Jefferson’s university would be different. Intentionally secular in its vision and design, the school would have neither church nor chapel. 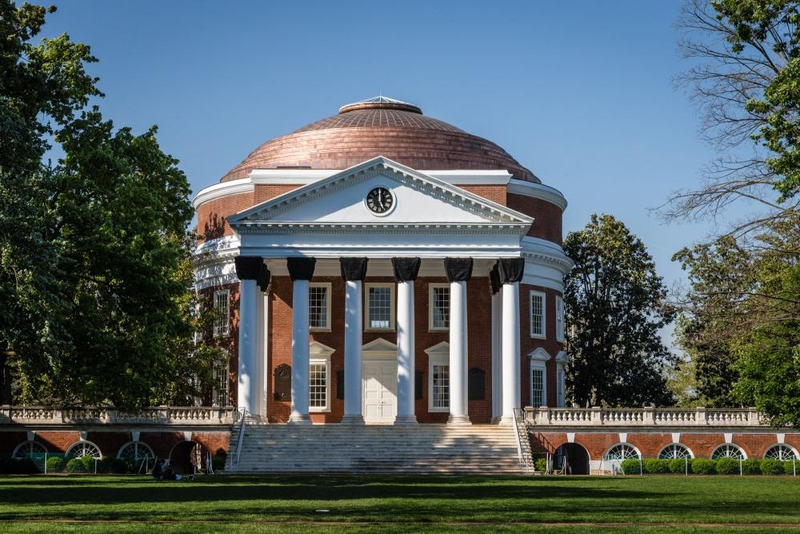 Jefferson’s “academical village” would be laid out in such a way as to take the eye naturally not to a house of God but to a temple of knowledge, to the Rotunda—modeled on the pagan Pantheon of Rome—which housed the school library. With seeming willful obtuseness, David Barton insists that Jefferson’s goal was to create the first truly “transdenominational” school, that he wanted UVA to be robustly Christian, just not associated directly with any particular denomination. Nothing could be further from the truth. In confining religion in the curriculum to a course in “natural theology” to be taught by the Professor of Ethics, Jefferson was insuring that students would be inculcated in theistic rationalism, not Christian orthodoxy. Furthermore, in the very structure of the curriculum they would be reminded daily of the Jeffersonian dogma that revealed religion was irrelevant to the life of the mind. That same capacity pervades today’s secular universities. I had many wonderful colleagues at the University of Washington, men and women of integrity and kind and generous spirits, but overall the school was relentlessly homogeneous in its political values and worldview, especially so among its faculty. As is true across the Academy more generally, the school aggressively promoted “diversity,” by which it meant an equitable distribution of students and faculty by race, gender, ethnicity, and sexual orientation, among other categories, but it was deafeningly silent when it came to the value of intellectual or ideological diversity. In addition to being Mother’s Day, last Sunday was also the date of Wheaton College’s 156th “Commencement,” and that has me thinking about vocation. As the term connotes, graduation is supposed to be forward-looking, a time to think about what lies ahead more than to reminisce about the road already traveled. Most graduates have a palpable sense of heading into the unknown, and the lifelong questions “What will I do?” and “Why will I do it?” will seem unusually relevant, even urgent. That is why I love to give graduates a book that will help them think Christianly about vocation. Let me recommend two that I have often given to students here at Wheaton. If you are looking for a gift for a friend, neighbor, or family member about to graduate from college, either would make a great gift. They are short, inexpensive, challenging, accessible, and wise. 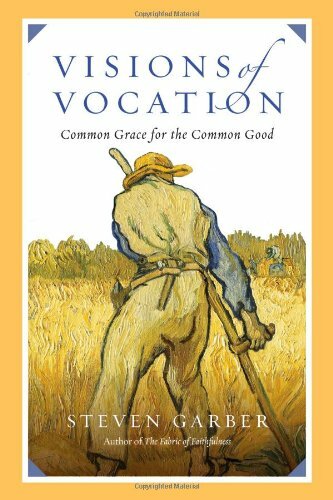 The first book is Visions of Vocation: Common Grace for the Common Good, by Steven Garber. The author heads up the Washington Institute for Faith, Vocation, and Culture in Washington, D. C. He writes from an explicitly Christian foundation, but graciously, winsomely, and non-dogmatically, and I would not hesitate to give this book to anyone wrestling with questions about the purpose and meaning of life. The book hinges on one simple, haunting question: “what will you do with what you know?” Knowledge always comes with moral responsibility, Garber insists. This is one of the key truths imbedded in the account of the tree of the knowledge of good and evil in Genesis chapters 2-3. The questions “What do you know?” and “What will you do with what you know?” can never be divorced, as much as we might like to pretend otherwise. From this initial premise, Garber observes that the hardest thing we are called to do in life is to know and still love. Knowing and persevering in love is rare. To know those around us truly is to know the brokenness of the world and to share in its pain. To ease our pain, our natural response is to build a wall around our hearts made of stoicism or cynicism. The stoic trains her heart not to care about the world; the cynic convinces himself that all efforts to help are naïve or futile. Visions of Vocation is filled with stories of men and women who have refused to give in to stoicism or cynicism. Garber describes his teaching philosophy as “come-and-see” pedagogy. “We learn the most important things over the shoulder, through the heart,” he writes, and so he doesn’t waste much time on abstract assertions. Because “words always have to be made flesh if we are going to understand them,” he spends most of his time introducing us to people he has walked with, individuals who have become “hints of hope” to a hurting world by choosing to know and still love. Two convictions distinguish these men and women, Garber finds. First, they refuse to accept the delusion of individual autonomy that shapes the modern western world. They realize that “none of us are islands. . . . We are we, human beings together. Born into family histories, growing up into social histories, we live our lives among others, locally and globally, neighbors very near and neighbors very far.” Second, in acknowledging this relationship, they have accepted also that they are obligated to others and implicated in their suffering. In sum, in acknowledging relationship they have accepted responsibility, and after accepting responsibility they have chosen to take action. 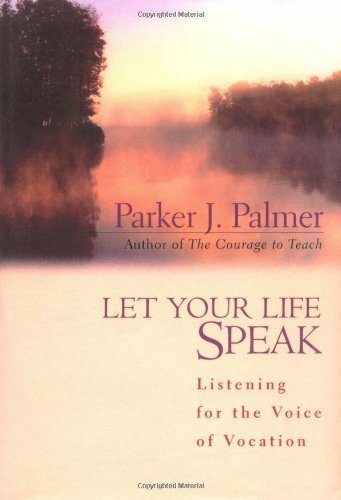 The second book I like to give away is Let Your Life Speak: Listening for the Voice of Vocation, by Parker J. Palmer. A couple of years ago I led students in an informal book discussion centered on this book, and for a long while I kept a box of extra copies in my office to give away as opportune moments arose. It’s a great book on many levels. The author has long been one of my favorite writers. Although I have not always agreed with him–and still do not–I find him wonderfully challenging and provocative in the very best way. Palmer began his adult career on an academic track, earning a Ph.D. in sociology from U.C.-Berkeley. Although he left the Academy after a few years, he has devoted most of the past four decades to writing and lecturing on the nature of education and the relationship between the intellectual and the spiritual. I first encountered Palmer in the pages of his 1983 book To Know as We Are Known: Education as a Spiritual Journey, a work that still informs my approach to teaching and my views on how education shapes the heart. Let Your Life Speak can sound a little “New Age-y” if you don’t understand where Palmer is coming from. Like most of the great Christian writers who addressed the concept of vocation during the Reformation, Palmer believes that our talents and passions are valuable clues to our ideal vocations. When he counsels the reader to listen to the voice within, he can sound like a humanist (or a script-writer for the Hallmark Channel), but he is absolutely not advising us to look within our own hearts for the ultimate guide to wise living. Instead, he is urging us to take seriously the truth that God has designed us with specific abilities and desires, and that our life’s vocation should unfold at the intersection of those personal traits and the needs of a hurting world. Vocation does not come from a voice “out there” calling me to be something I am not. It comes from a voice “in here” calling me to be the person I was born to be, to fulfill the original selfhood given me at birth by God. Finally, I would note that Palmer intersperses his observations with intimate reflections on the path that he personally has traveled. These include hard-earned insights from two extended bouts with depression as an adult. Refreshing in its honesty and transparency, Let Your Life Speak will be encouraging both to those seeking direction for the future as well as to readers trying to make sense of suffering. I heartily recommend it. Not exactly, but I got your attention, didn’t I? The Wall Street Journal this week called attention to a recent comprehensive study undertaken by Georgetown University’s Center on Education and the Workforce. Titled “The Economic Value of College Majors,” the study estimates beginning and lifetime earnings of 137 different disciplines. You can see a 40-page executive summary here if you’re interested in all the details, but I would definitely recommend you check out this three-minute WSJ video that simplifies and summarizes the summary. A lot of the data in the study report are predictable: college graduates can expect to earn a lot more over their lifetimes than high school graduates; among college graduates, computer scientists tend to make more than social workers. But the thrust of the report is to underscore that college majors aren’t perfect predictors of lifetime income. Median income figures are only averages, after all, and there is a considerable income range for each major above and below the median figure. What is more, some majors have a considerably wider range proportionally than others. On average, engineers make more than English majors and architects earn more than anthropologists, but their income ranges overlap considerably, so that individual comparisons will often depart from the overall pattern. And although the history major will not translate into immediate wealth, the Georgetown study does indicate that history majors earn the highest incomes in the humanities category, and history majors who go on to earn advanced degrees in non-history programs (law, business, or public policy, for example) can expect to earn substantially more than the average undergraduate who majored in one of the STEM disciplines (science, technology, engineering, and math). Indeed, the WSJ video–titled “Why STEM Majors Don’t Always Earn More”–uses the earnings potential of history majors who go on to certain advanced degrees as its featured example. A week ago today I was privileged to take part in a panel discussion on “Reconstruction Tennessee” down in Knoxville. The panel was part of a two-day commemoration of the sesquicentennial of the Civil War, one of five “signature events” that the state of Tennessee has sponsored over the past five years in various cities. The event drew more than a thousand attendees who enjoyed a range of historical exhibits, living-history demonstrations, and academic presentations. I was joined on the panel by three other professional historians and we had a free-flowing discussion about the goals and realities of Reconstruction and, in particular, the factors that have shaped American memory of this crucial period. The attendance at our panel was disappointing, to be honest. The conversation was captured by C-SPAN, however, so eventually you should be able to catch it on cable, most probably at 2:00 or 3:00 in the morning. 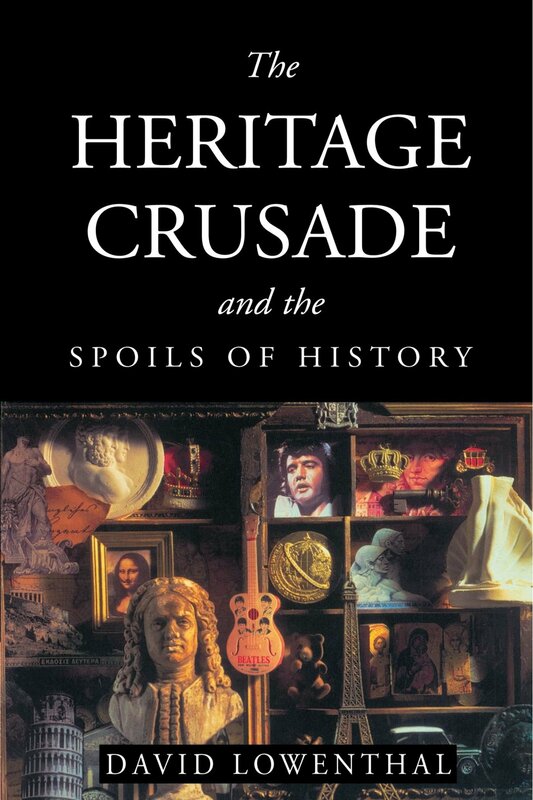 I’m not 100% sure about the origins of the terminology, but it likely comes from a 1996 book by English scholar David Lowenthal titled The Heritage Crusade and the Spoils of History. Lowenthal is better at describing “heritage” and “history” than he is at defining either category, and the book is as frustratingly inexact as it is condescending. Boiled down, the two categories are distinguished by their practice and purpose. History relies on “rational proof.” Heritage depends on “revealed faith.” History seeks to “explain through critical inquiry.” Heritage aims to “celebrate and congratulate.” By Lowenthal’s criteria, the Sons of Confederate Veterans may be doing many things, but they are NOT honoring history. They are promoting heritage, and they are doing so at the expense of both reason and truth. Part of me accepts this verdict wholeheartedly. Certainly, as I wrote earlier, the SCV’s reading of the Civil War is worse than awful, and the literature that they were distributing at the conference was nothing short of appalling. The most innocuous was a SCV merchandise catalog crammed with items that I would only give as gag gifts. 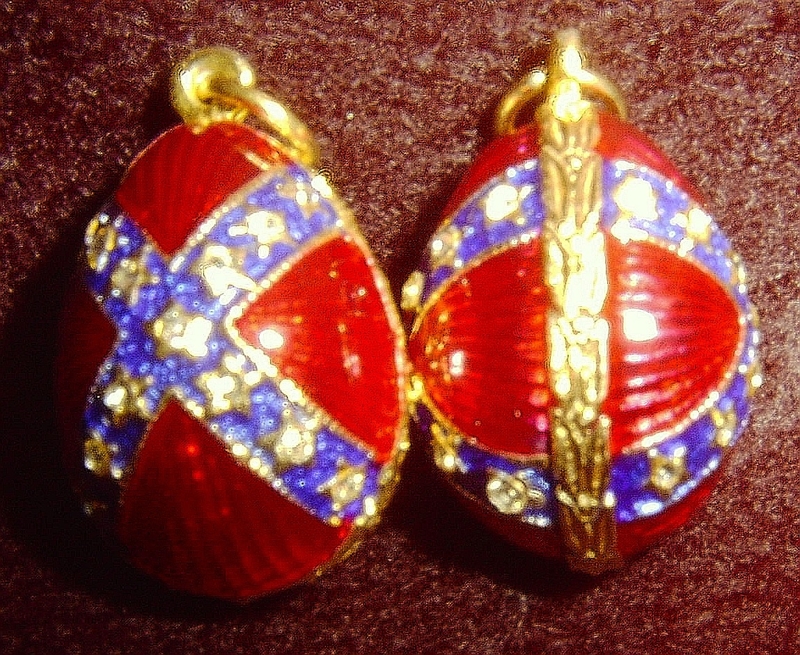 There were “Confederate Claus” Christmas cards, Stonewall Jackson tree ornaments, Confederate cufflinks and coloring books, and just about anything you can imagine with the Confederate battle flag slapped across it: playing cards, beer mugs, shot glasses, drink coasters, earrings, tote bags, and (my favorite) a “Battle Flag Faberge Egg Pendant” (just $69.95, chain not included). More troubling was the SCV essay “Defending the Constitution since 1861,” which SCV members were passing out in front of an enormous wall banner carrying the same slogan. This brief essay makes two main points: first, that Abraham Lincoln did not originally define emancipation as a goal of the northern war effort (definitely true), and second, that the Confederate decision to secede in 1861 had nothing to do with slavery (egregiously false). If this is so, then someone forgot to tell the rebel soldiers who filled the Confederate ranks from 1861 to 1865. Over the course of years spent combing the diaries and correspondence of Confederate soldiers, Southern historian Colin Woodward discovered that “the proslavery ideology was entrenched in the minds of Southern whites of all classes.” In Marching Masters: Slavery, Race, and the Confederate Army during the Civil War, Woodward concluded that the war that erupted in 1861 “was about protecting slavery,” and all ranks “knew that going in.” The irony in all this is that the Confederate veterans whom the SCV claims to honor wouldn’t recognize themselves in the organization’s cartoonlike rendition of the causes of the war. And speaking of cartoons, the most grotesque thing I picked up at the SCV booth was a “graphic novel” titled Sam Davis: Hero of the Confederacy. Obviously intended for young readers, this Confederate comic book tells the highly embellished story of Sam Davis, a young Confederate scout from Tennessee who was captured by Union troops late in 1863 with maps of the Union fortifications of Nashville on his person. Charged with spying, Davis refused to divulge how he got the documents but went willingly to his death. Just before the noose was placed around his neck, he is supposed to have declared, “I would rather die a thousand deaths than betray a friend or be false to duty.” In the late-19th century, southern whites would remember Davis as a hero and martyr. 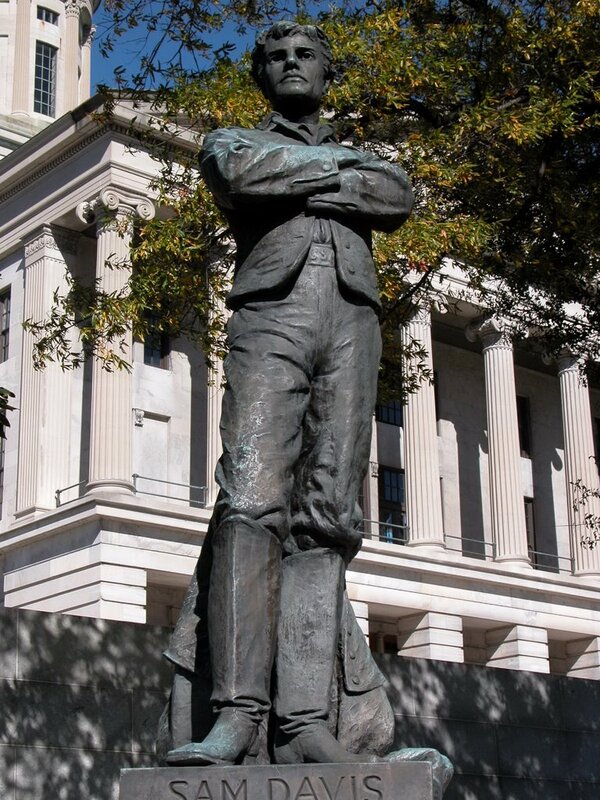 In 1909, the state of Tennessee erected this monument to Sam Davis on the grounds of the state capitol. In the SCV’s retelling, the young Davis died so nobly that the Union soldiers at the foot of the gallows realized that they were in the presence of someone greater than themselves. “I didn’t know the South had men like this,” one marvels. “Bravest thing I’ve ever seen,” observes a second. What the Yanks had done “weren’t right,” laments a third. A final soldier prophesies, “God is gonna punish us for this.” Young readers may not consciously think of the centurion at Golgotha, but the author has unquestionably made Sam Davis into a Christ figure—the messiah of the Lost Cause. So is this “heritage,” or just really, really bad history? I’d be interested to hear what you think. For my part, I’m torn on the matter, which might surprise you. It is surely tempting to follow Lowenthal’s criteria and dismiss the SCV’s claims as “not history” at all, as belonging to another universe that we can safely ignore. I’m hesitant to do that, though not for reasons that have anything to do with the Sons of Confederate Veterans. I’m hesitant to do it because of the sense of calling that I have as a Christian historian to speak to Christians outside the Academy about how they engage the past. 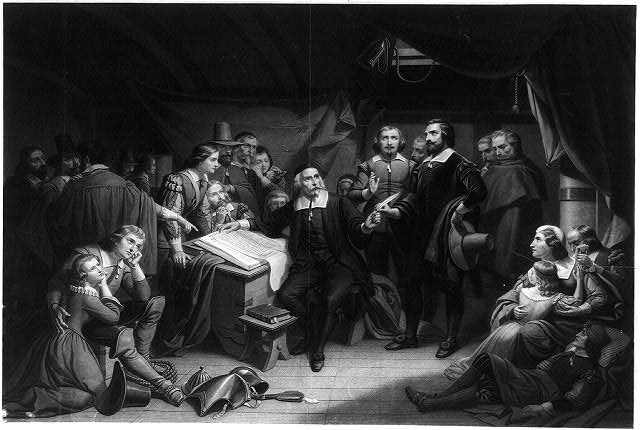 By Lowenthal’s criteria, much of the ink spilt trying to prove that America was founded as a Christian country would fall into the heritage category. Certainly the work of David Barton would fall into this class, and you could probably place the late Peter Marshall Jr. (of The Light and the Glory fame) in that camp as well. I’m not sure that simply dismissing them as purveyors of “heritage” accomplishes much, however, especially if the goal is to reach Christians outside the Academy who do not automatically defer to anyone with a Ph.D. I can see pros and cons in both views. Obviously, the more restrictive definition of history holds up a higher standard of accuracy and underscores the critical importance of reason and evidence to historical understanding. In contrast, the more expansive definition may seem to lower the bar distressingly, in the worst case legitimizing as “history” every crackpot commemoration of an imagined past. That’s a prospect not to be taken lightly. But on the other hand, the more restrictive definition comes with its own cost, or so I’m beginning to believe. In conceiving of history as determined by method and training, academic historians came to think of history as something that only academic historians do. From there it was only a short step to our present state in which academic history is a self-contained conversation that we academic historians have among ourselves. In sum, I can’t shake the conviction that the more restrictive definition exacerbates the isolation and alienation that distances most professional historians from the larger society we seek to serve. At any rate, I’m not yet ready to embrace the history/heritage distinction. I would rather call the claims of the Christian America camp “bad history” than relegate them to “heritage.” The former, at least, recognizes that we are engaged in the same fundamental pursuit, broadly defined. The latter simply encourages us to dismiss them, and perhaps to feel self-righteous in doing so.